MFF Alum Laura Poitras’ New Documentary CITIZENFOUR Opens Friday in Select Cities! 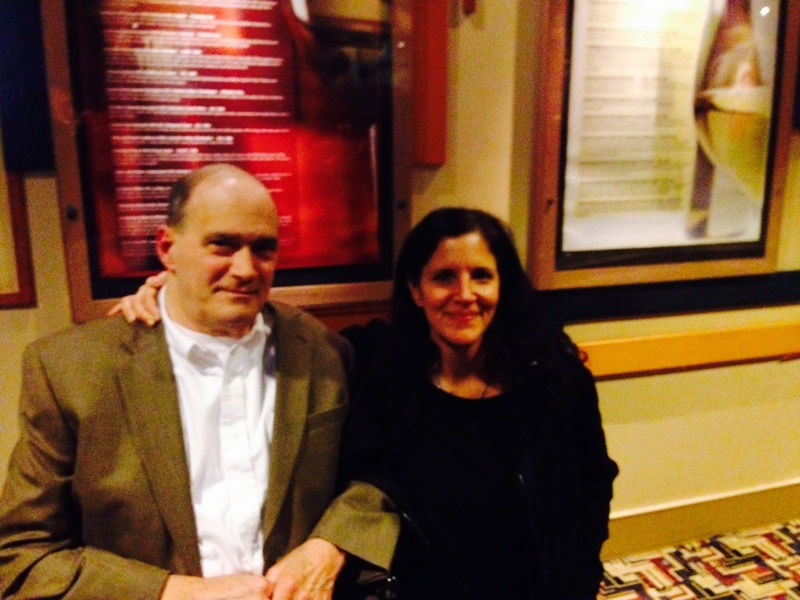 L to R: Former NSA Official William Binney and Filmmaker Laura Poitras at the 10/22 sneak preview of CITIZENFOUR in Washington, DC. MFF Director Jed Dietz was in attendance at last night’s sneak preview of CITIZENFOUR, the new documentary from Academy Award-nominated director Laura Poitras about governmental surveillance and Edward Snowden. Poitras is a 2012 MacArthur Genius Fellowship recipient and two-time MFF Alum, screening both Oscar-nominated MY COUNTRY MY COUNTRY (MFF 2006) and THE OATH (MFF 2010). She was in attendance for the screening, along with several people featured in the film, including former NSA official William Binney. Poitras’ new documentary is a real life thriller, unfolding by the minute, giving audiences unprecedented access to the filmmaker and journalist Glenn Greenwald’s encounters with Edward Snowden in Hong Kong, as he hands over classified documents providing evidence of mass indiscriminate and illegal invasions of privacy by the National Security Agency (NSA). “The film is so tense and surprising as you go through it. It’s as good as any of the Bourne movies, but better because it’s real. It’s amazing storytelling,” Dietz said. CITIZENFOUR places you in the room with Poitras, Greenwald, and Snowden as they attempt to manage the media storm raging outside, forced to make quick decisions that will impact their lives and all of those around them. The film not only shows you the dangers of governmental surveillance—it makes you feel them. After seeing the film, you may never think the same way about your phone, email, credit card, web browser, or profile, ever again. CITIZENFOUR opens in select cities this Friday and will tentatively open in Baltimore at the Charles Theatre on Friday 10/31. See the Charles’ website for more details.